Technology is dramatically reshaping retailing around the globe and the transformations are most evident in emerging economies, where demographic trends, e-commerce and the shift away from traditional physical formats are creating big opportunities for both local players and multinationals. The challenge for retailers is to adopt a technology platform that adapts to the distinct characteristics of these markets in areas such as business agility, ease and speed of deployment, and cost effectiveness, while also supporting new omnichannel capabilities designed to build loyalty and satisfy heightened customer expectations. 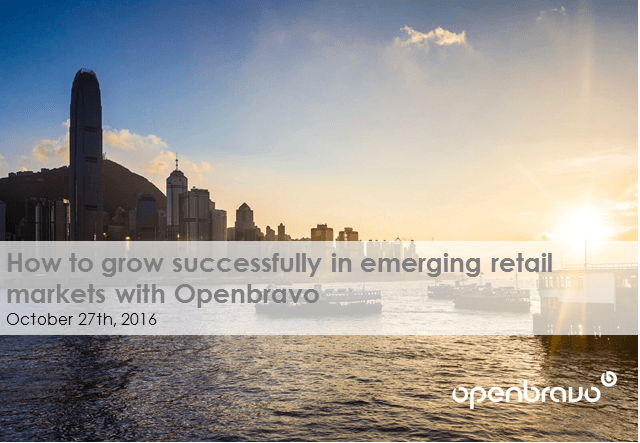 Find out more about essential software capabilities for retailers in emerging markets in this presentation by Openbravo Business Development Director for New Markets, Francesco Leto. If you wish to watch the full webinar which accompanies this presentation, please visit http://www.openbravo.com/resources/webinars/?commid=228251.